The Fallingbrook area has seen house values increase in every year since 2000! Most neighbourhoods have seen at least a few years where properties decreased, but Fallingbrook kept a clean sheet, excellent to see. How much will a Residential House or Condo cost in Fallingbrook & Gardenway? The range of home sales prices here for all 2018 was between $125,000 and $650,000. 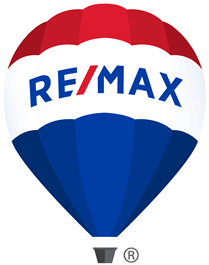 Where are the highest and lowest sales in Fallingbrook? There were 3 sales in Fallingbrook in 2018 that were under $175,000, all were condos with 1 and 2 bedrooms located on Centrum Boulevard, Marsala Crescent, Canteval Terrace and Cabaret Lane. The 3 highest priced home sales in Fallingbrook were on McCallum Drive, Sillery Place and Caserta Place, these were all freehold 2-storey houses with 5 bedrooms and these all sold for over $600,000. How long do listings take to sell in these neighbourhoods? In 2018 it took between 0 and 256 days for homes to sell, with the average time being 27 days, and home seller's here got 99.39% of their list price.